Pavement are set to reform and perform what is being described as 'multiple shows' in New York City in 2010. The sources speculate that there could be more - that the New York gigs could be part of a tour, could be the end of a tour, the middle or even the beginning of a tour. Apparently, the only shows that seem definite are the Summerstage appearances. It is also being tossed around that Pavement could surprise everybody and make their official comeback at Coachella in April. Pavement, who released seminal albums such as Crooked Rain, Crooked Rain and Slanted And Enchanted during the 1990s, last played at the London Brixton Academy in 1999. 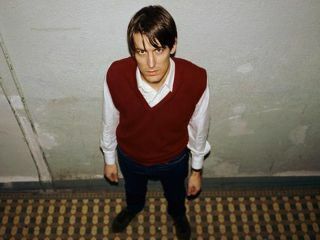 At that show, frontman Stephen Malkmus had a pair of handcuffs attatched to his microphone stand. "These symbolize what it's like being in a band all these years," he told the audience. Hopefully, he won't feel that way this time around. How cool were Pavement? Check out their Spike Jonze-directed video for the song Shady Lane.